Growbags – Urban Forest Nursery Inc.
At Urban Forest Nursery, Inc., we grow our trees in grow bags instead of the more traditional ball & burlap (B&B). As a result, our trees have a small concentrated root ball that takes up about half the space of a traditional B&B tree, and weighs considerably less. Less space and weight means more trees can be transported per truckload, thus cutting down on shipping costs. 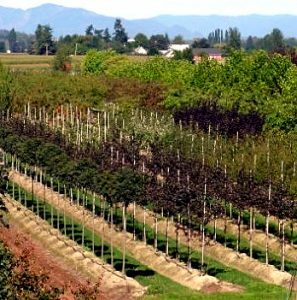 Additionally, our trees can be transplanted and transported just about any time of year due to the relatively minor root disturbance of digging a tree in a grow bag. 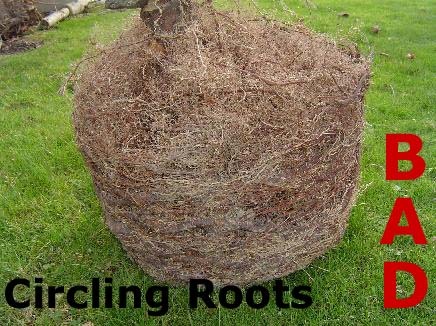 The longer a tree remains in a container or B&B, the greater chance it will produce circling roots. This is because the roots have nowhere to grow, but within the small bag. However, when a tree is planted in a grow bag, the roots grow straight to the sides of the bag, and then grow small absorbing roots directly through the bag, preventing strangling one another within the grow bag. 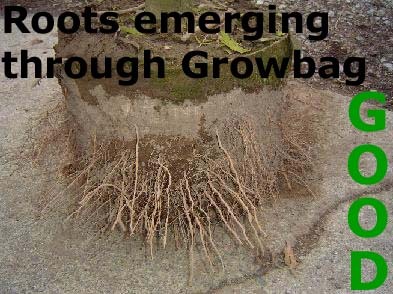 When the bag is removed, the absorbing roots break off, leaving a sound root structure in the bag. 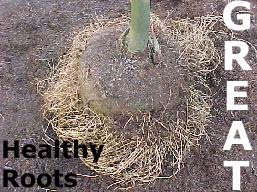 Just a few months after planting, a healthy root system has developed to ensure a long and happy life for the tree! Where to find grow bags? Grow bags are a simple, effective way to add trees to your urban forest. Urban Forest Nursery, Inc. uses grow bags from High Caliper Smart Growing System. Please visit their link to learn more about this product. For more information on how we use grow bags click HERE.